OSHA has proposed a new ruling on beryllium exposure limits which will most likely include construction workers in addition to general industry employees. OSHA suspects that around 23,000 construction workers annually could be exposed to beryllium primarily those who engage in blast cleaning metal surfaces of structures such as metal bridges. The advisory committee for the new ruling has recommended therefore that construction workers be included within the new ruling. 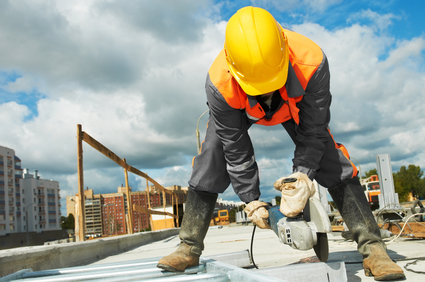 The inclusion of construction workers within the new beryllium standard could require construction industry employers to establish beryllium regulated areas that ensure employees are aware of the potential risk of exposure, develop a written exposure control plan, begin a medical surveillance program, use engineering and work practice controls to limit exposure levels, and provide free PPE to potentially exposed workers. Implementation costs are a concern with this new rule proposal but most committee members agree that the construction industry should be included within the new rulemaking. Due to the rule being only in the proposal stage there will definitely be more time for further research and public comment before finalization.